Though I have hundreds of thousands of photos, and I seem to have lost the ability to keep up with my careful cataloguing system a couple years ago, it only took me a few minutes to find a photo of me smooching one of my kids. You can see it happens so frequently, Pippa looks a little bored ("Yup, my mom loves me. Ho-hum."). I have warned the girls that it's one of my life's missions to kiss each and every freckle on their faces. That ensures me infinite kisses. 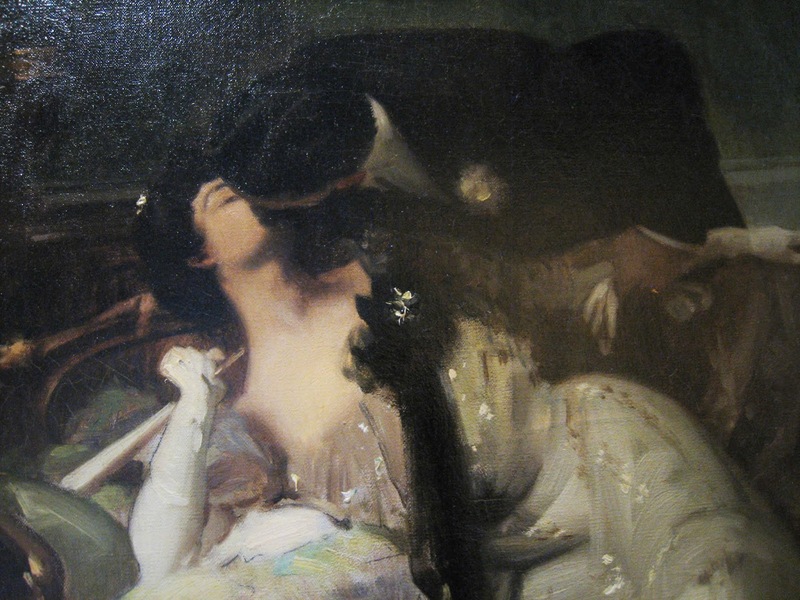 I'm fairly certain the words "I love you" came just before and/or after this kiss, in English and/or French. My French friends are just as crazy about and affectionate with their kids, so imagine my surprise to learn -- very recently -- that the French generally don't really say the equivalent of those three little words, "je t'aime" to their children as a normal thing. I could easily say to my daughters half a dozen times in a day "I love you", so when I said it to my daughters in French, in front of my French friends, it seemed pretty normal to me. But it sounded so odd to the native French-speakers in the room that they had to correct me. Not exactly correct me -- I said it correctly, and it means what I think it means -- but rather inform me that the French generally use these "three little words" in a romantic sense. Interestingly, I made the exact same mistake many years ago as an exchange student in Japan, regularly telling my host parents "Ai shte-imasu" ("I love you"). Years later, studying Japanese at college, I learned that this is exclusively used for romantic situations. When I asked my Japanese host parents why they never corrected me, they laughed and said they found it very cute, and sweet, because they knew what I meant. In English, parents can say "I love you" to kids, kids can say it to parents, siblings can say it to each other (when they're not at each other's throats), and friends can -- and do -- say it to each other (though I'm pretty sure that female friends say this to each other a whole lot more than male friends). 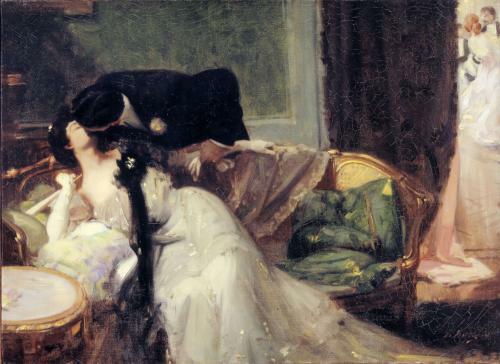 Other than romantic situations, the French would be more likely to just not say it outright (not with a "je t'aime" or even a "je t'adore") but rather express it through terms of endearment, including very direct ones like "mon amour" ("my love") and "mon coeur" ("my heart"). Can I say with absolute certainty that this is true of all French people? Of course not. But once notified, I took it upon myself to conduct an informal survey, and I will say that 100% of my French friends -- rich, not rich at all, slightly right, very left, married, single, older, younger, from all walks of life -- agree wholeheartedly (pardon the pun) that "je t'aime" is for lovers, not for parents and kids. La Biquette de Vendée is a pasteurized goats' milk cheese made in the Vendée, of course, as the name suggests. It's a cheese made through lactic fermentation and sold, mostly, in local Vendée grocery stores. I'm putting the label here to prove this, because most likely you will never find any confirmation that this cheese actually exists -- not in stores, not in books, and not online. I did a google search for this cheese as part of my research and found exactly one entry (when does that happen?! ), that had nothing to do with this cheese and could not even be opened or accessed. 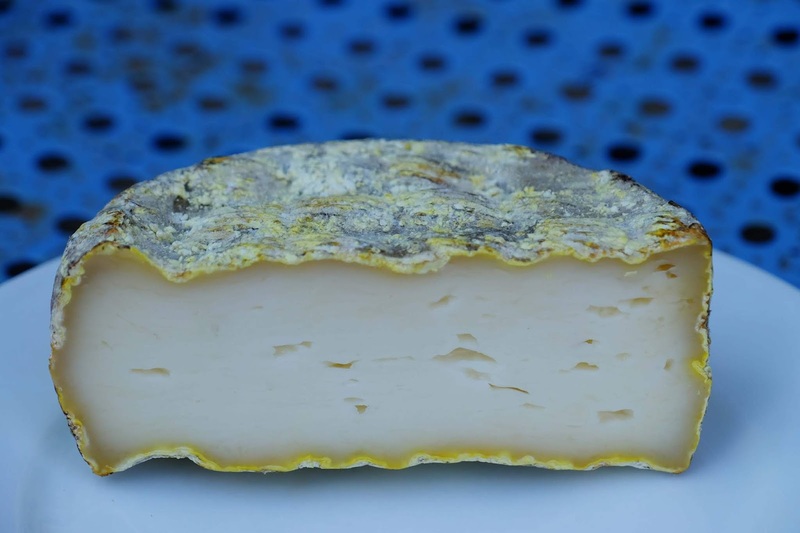 It's got a gorgeous, multi-hued crust, with splotches of both yellow blackish molds. 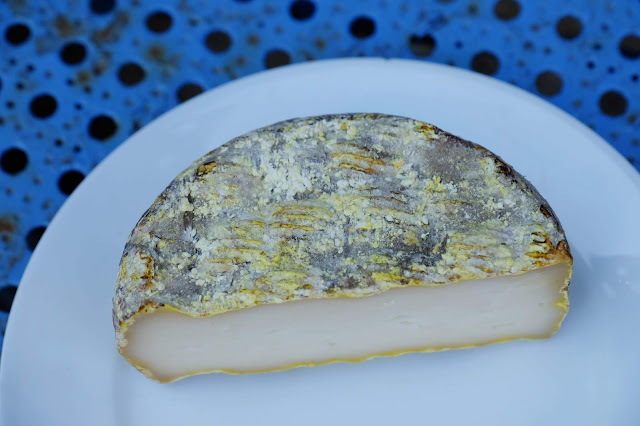 Due to the thickness and chewiness of the crust, the colorful molds, and the general denseness of the interior, this is a relatively aged goat cheese -- probably more in the realm of months than weeks. Despite the name, "Biquette" which means "young, female goat", it has lost that creamy texture of a young and fresh goat cheese. The texture is semi-firm and while it will melt in the mouth if held long enough, it's a bit on the rubbery side at first. The flavor is extremely mellow, and not very goaty or gamy at all. A "biquette" is a young, female goat and is also used as a term of loving endearment like "sweetheart." While I've just about never heard a French mother tell her daughters "Je t'aime" (as I say -- frequently -- to my girls in many languages), I have heard French mothers ooh and coo over their children, very lovingly calling their daughters "biquette" or "ma biche" ("my deer") and sons "mon coeur" ("my heart") and more. So it's not that they don't love their kids, and it's not even that they don't say that they love their kids, it's more that they just don't say it with "those three little words." Coincidentally, it's my dear friend and her lovely, loveable, and very-well loved children in the Vendée who first alert me to the un-Frenchness of me saying "Je t'aime" to my own children with, apparently, alarming frequency. So it's doubly perfect that this Biquette de Vendée is the cheese for this story. Not so coincidentally, I'm posting this around Valentine's Day. Go out and tell or show the people you love how you feel -- in whatever way feels meaningful and culturally appropriate to you!